In the week since the terrorist attack in Orlando, FL, gun store owners are reporting a drastic increase in sales. While this is a trend they’ve seen after other recent attacks like the one in San Bernardino, CA last December, this time, there’s more to them. Miles Hall, owner of H&H Gun Range in Oklahoma City, OK said his store’s sales of semi-automatic rifles aren’t just increasing, they’ve surpassed handgun sales, which typically dominates purchases at his store. Another Oklahoma City business owner says he’s seeing the same thing. 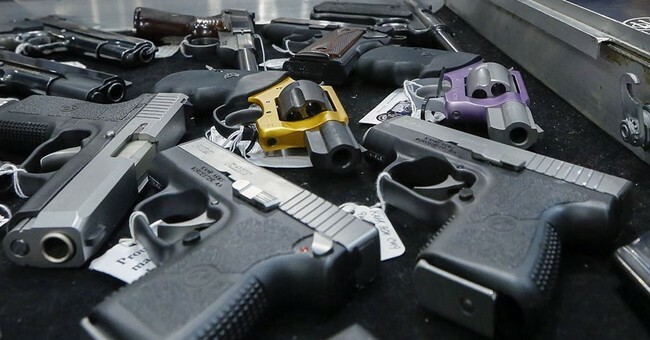 Mike Blackwell, owner of Big Boys Guns & Ammo, said sales have doubled in the past week, and he has also seen an increase in registration for conceal carry classes. And it’s not just gun sales on the rise. The outpouring of support for the LGBT community has gone through the roof and membership with organizations like The Pink Pistols and Operation Blazing Sword has skyrocketed. The Pink Pistols have seen their membership rise from 1500 last Friday (before the shooting at The Pulse in Orlando) to almost 6500 today. Pistols’ Spokeswoman Nicki Stallard says that number is significant for a few reasons.